The impact of Brexit on the globalisation of health and social care. Unless the UK Government formally requests from the European Union an extension of time in order to agree a Brexit deal then it is set to leave the European Union on March 29. Currently, there is disarray over how that might happen. Among the issues causing greatest division between “remain” and “leave” supporters is the future of health and social care. Those opposing BREXIT believe that the international agreements under which the UK currently trades with global partners provide vital protection to the NHS, safeguard the UK’s right to regulate in the interest of public health, sets high health and safety standards on imported products, and maintain open border arrangements with free movement of much needed healthcare and medical research staff. Leavers – and especially those pushing for a “no-deal” departure – argue that the UK’s future lies in a more global environment, and thata significant number of trade agreements can be negotiated that will increase access to markets and limit the economic cost of BREXIT. They say the UK’s expertise in sectors such as healthcare can not only generate more investment and resources for the NHS, but can also be leveraged as a valuable global trade commodity in an increasingly interconnected world. 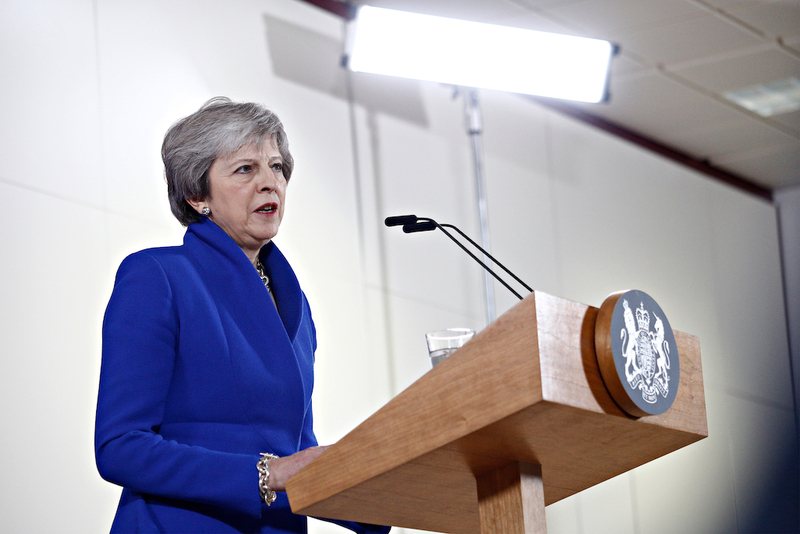 At time of publication, there is still considerable uncertainty over BREXIT, because the UK Parliament hasn’t made key decisions about how the country will leave – and what its future relationship with the EU27 and other jurisdictions will be. Currently, the Government is trying to win Parliamentary approval for a Withdrawal Agreement, but it faces strong opposition. Unless agreed, it raises the prospect of the UK leaving on a “no deal” basis and without a transition period. There have been a series of key votes in the UK Parliament between 12 and 14 March 2019 on whether the UK Parliament will allow the UK Government to sign the current Withdrawal Agreement, categorically rule out the UK leaving without any deal negotiated (the so called “No Deal” Brexit scenario) and whether a formal extension to Article 50 that would delay any departure will be sought. Whilst some commentators have mentioned the possibility of a second referendum that could reverse the 2016 vote to leave there appears to be insufficient numbers within the UK Parliament for such prospect to succeed. The current gridlock means there are no immediate prospects of talks starting on free trade agreements (‘FTAs’) to decide the UK’s future relationship with the EU or many other countries with whom there are often strong relationships based on shared histories. When the UK Government made clear that ending freedom of movement between countries is a red line BREXIT commitment, there was naturally concern among health providers. The majority of NHS staff in England are British – but a substantial minority are not. Around 144,000 out of 1.2m staff report a non-British nationality. This is 12.7 percent of all staff for whom a nationality is known, or one in every eight. Between them, these staff hold 200 different non-British nationalities. Around 63,000 are nationals of other EU countries - 5.6 percent of NHS staff in England. Around 49,000 staff members are Asian nationals. (source: UK House of Commons Library). In common with other countries, the UK has an ageing population that places increasing demands on health and social care services. It therefore competes with other countries such as Australia, the United States and Canada for the same global pool of workforce resources – including India and the Philippines. The World Health Organisation estimates the world will be short of 12.9m health-care workers by 2035, a problem made worse as populations rise. To provide greater clarity for employers (and in particular health organisations) needing to recruit from within the EU and elsewhere, the Government recently launched a White Paper on Immigration with the aim of creating a post-BREXIT system that will prioritise skilled workers under a single immigration system rather the current dual system which distinguishes European Economic Area (EEA) citizens and their dependants from Non-EEA nationals. The Paper proposes to end the cap on skilled workers, and scrap the requirement for employers to carry out a resident labour market test before hiring a worker from overseas. Home Secretary Sajid Javid says this will place the focus on “talent and expertise, rather than where people come from”. Individuals meeting the criteria will be entitled to bring their dependants to the UK, to switch to other immigration routes and, in some cases, to settle in the UK permanently. From an immigration perspective, the proposed changes are likely to make it easier for UK healthcare providers to seek skilled workers from overseas, but this will depend on the exact salary levels at which such skilled workers are considered. At present, non-EU migrants (not eligible to be engaged at graduate level for roles) must earn more than GBP 30,000 a year to work in the UK. 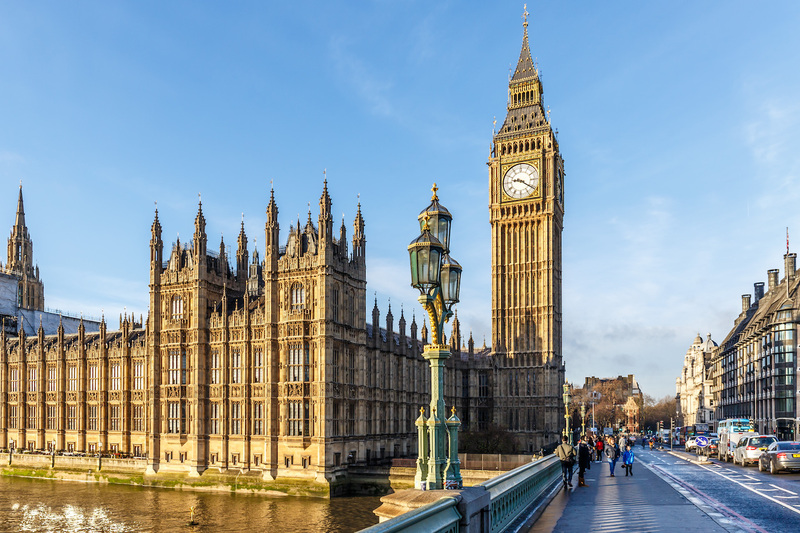 The government – under pressure from employers in the health, social care and other sectors - will consult on whether or not this threshold should be retained for all overseas workers. There have also been indicative proposals on the introduction of an intermediate skills route allowing the recruitment of individuals to roles requiring skills at a lower level than that of a University degree. This may result in such roles having a lower salary requirement but the detail of such proposals is still be provided by the UK government. Equally, a transitory measure up until 2025 of a short term visa requiring no sponsorship for what are deemed “lower skilled” roles has been suggested for periods of no more than 12 months to support organisations in the short term as they adjust their staffing requirements post Brexit to reflect the new system. As a first priority, organisations wanting to hire non-UK workers should register now as sponsors(and thereafter issue certificates of sponsorship to their employees). This could take at least four months to secure, and will also involve substantial record keeping and reporting obligations, with the added worry that any non-compliance risks employers losing their licence and ability to recruit overseas staff. Both public and private sector organisations can’t get enough skilled people they need both now and for future investment, and are worried that BREXIT will increase difficulties in retaining workers from EEA and other countries particularly as the numbers of net migration of EEA nationals into the UK is falling substantially in the run up to Brexit. 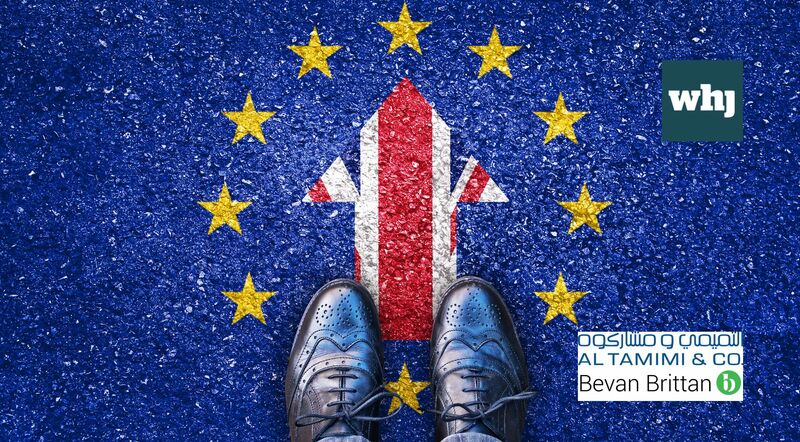 Consequently, a substantial burden will remain on employers trying to manage complexity and compliance, amid concerns that recruitment and hiring difficulties in the UK have now reached critical levels. There is a rapidly changing global landscape of health provision that requires fresh thinking and innovation. In this context, “necessity may be the mother of invention” as UK organisations may be at the forefront of having to adapt to these challenges even sooner than would have been the case if BREXIT had not become an issue. The UK already “exports” its expertise in healthcare. Its knowledge of how technology platforms can deliver care via new models - and frequently on a remote and cross-border basis – are likely to be an important feature in future FTAs the UK may seek to make with other countries. Such opportunities may make it easier, therefore, for UK organisations to market their existing capabilities and experience in delivering innovative solutions to meet burgeoning healthcare and social care demands. Currently, efforts are being made in the UK for better cross integration between social and healthcare provision - as well as more integration between primary and secondary healthcare services. Given the relative maturity of the UK healthcare market and the mix of public and independent healthcare providers already providing services, there are likely to be opportunities for organisations globally that have experience in delivering such services innovatively to consider such opportunities in the UK. We have advised on a number of partnership ventures between UK healthcare organisations and third/Middle East countries in recent years, and this trend is likely to continue in the future as UK organisations look to build on marketing their expertise globally. A key requirement will be training the right number of people … with the right skills to deliver health and social care … in the right place. Leading health economies now acknowledge that greater integration of services, more community based care and digital solutions – all of which are receiving substantial investment now in the UK – will be critical in delivering the advanced public health and disease protection models their citizens need.